My Mexican Orange Blossoms will flower twice in the year if I give them a light trim after the first spring show. 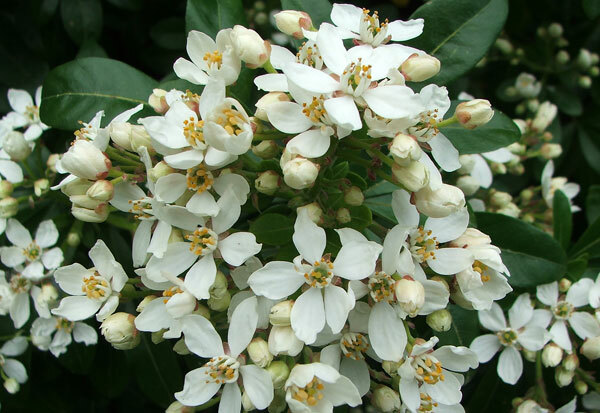 The flowers are white and star-shaped, resembling orange blossom. They have a fresh slightly citrus fragrance. I've taken basal cuttings successfully to produce new plants - I assume that cuttings should root fairly easily, too. 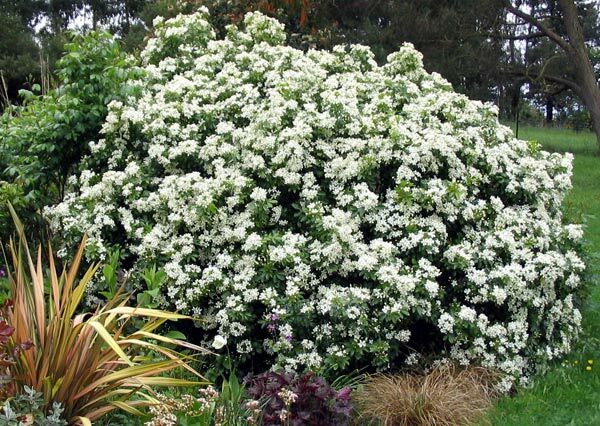 These shrubs look good anywhere in the mixed border, and would probably make a good hedge. They fill out garden space quickly, and are totally frost hardy in my garden. 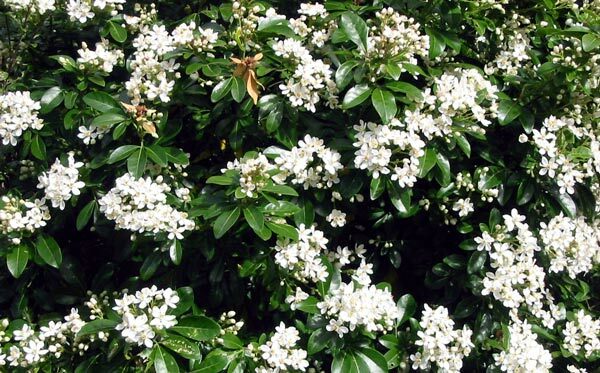 Choisya Ternata is used a lot in New Zealand council plantings near traffic routes - it obviously copes well with city style pollution. There's none of that in my garden!